On Plan de Corones, the number 1 ski district in South Tyrol, the fun is not limited to skiers: sledging, cross-country skiing, ice skating, trekking with snowshoes… for your winter enjoyment, on excellent trails. And of course, you must not miss a trip to the countless mountain huts on Plan de Corones and in the surrounding areas. During the day you can taste the substantial South Tyrol specialities, relax and daydream on a sunny terrace or sip some warm mulled wine. The breathtaking panoramic view and the cordiality of the management are included! 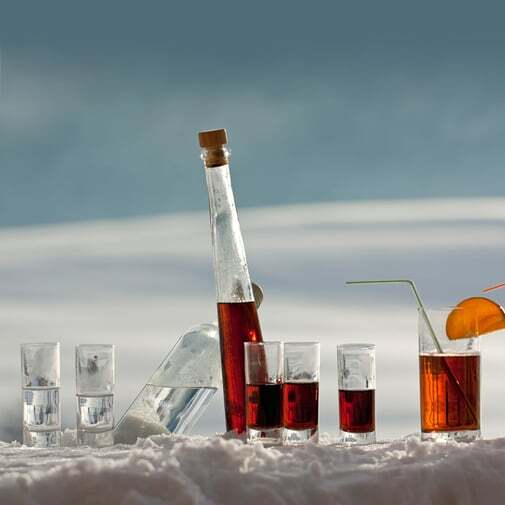 Lastly, to add the finishing touch to an intense day on skis, beginners and experts can meet up for the Après Ski in the Plan de Corones valley station. Do you fancy going sledging? Maybe combine it with a romantic winter walk? Both by day or, very romantically, when the moon shines high in the sky, numerous excellent sledge runs await you in the Plan de Corones area. The "KORER" and "CIANROSS" sledge runs are connected to the Plan de Corones lift systems. The starting points of both runs are reached with the Korer or Cianross cable car and access is allowed with a valid Plan de Corones ski pass. Nor should we forge the "HAIDENBERG" sledge run, famous well beyond the boundaries of the region, much loved by young and not so young; it can be reached on foot from our hotel in about 60 minutes. 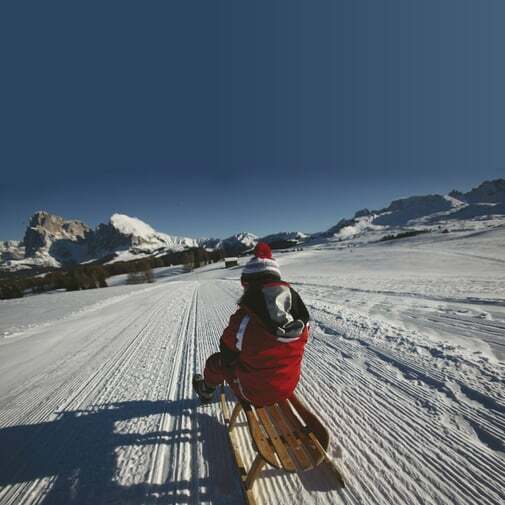 In the Plan de Corones area you will find many other sledge runs in the heart of nature, to offer you moments of real fun on the sledge in the enchanted landscape of the Val Pusteria.